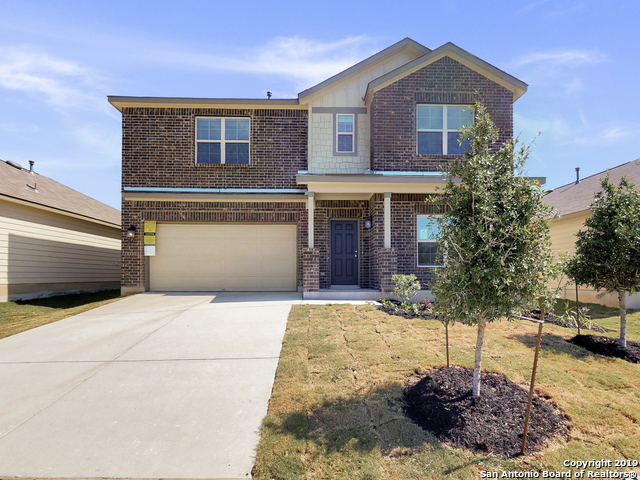 All PALOMA homes currently listed for sale in Converse as of 04/25/2019 are shown below. You can change the search criteria at any time by pressing the 'Change Search' button below. "This gorgeous floorplan is part of the new Smart Series at M/I! This home is perfect for a growing family. With 4 bedrooms, 2 full bathrooms, and a 2-car garage, this home can fit all your needs. The kitchen opens to the large family room, and has an oversized island perfect for breakfast. The master bathroom comes with a huge walk in shower, and the walk in closet has plenty of room for clothes, shoes, and extra storage! Upstairs is three bedrooms, and a game room that's perfect for quality fam"
"Space, Space, & more Space! This home has it all! 5 bdrms, 3 baths, covered patio & 2 car garage. There is also a monster sized gm rm & XL covered patio! Conveniently located to RAFB, SAMMC & Lackland AFB." "This home is Superfantastic! A true gem! 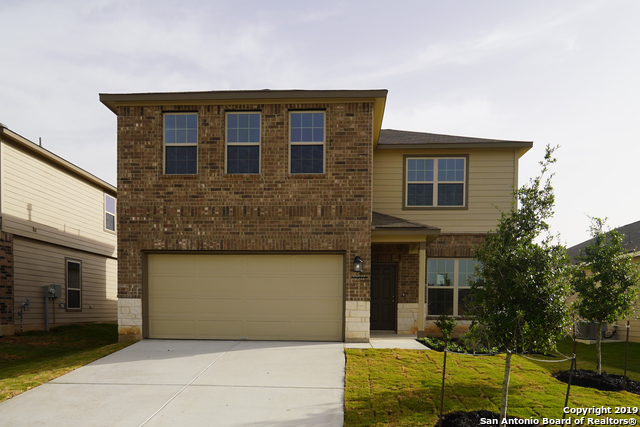 The Megellan floor plan boasts 5 bdrms, 3 baths, XL gm rm, covered patio & 2 car garage! All of this & plenty of room to entertain your guests. Conveniently located to RAFB, SAMMC & Lackland AFB." 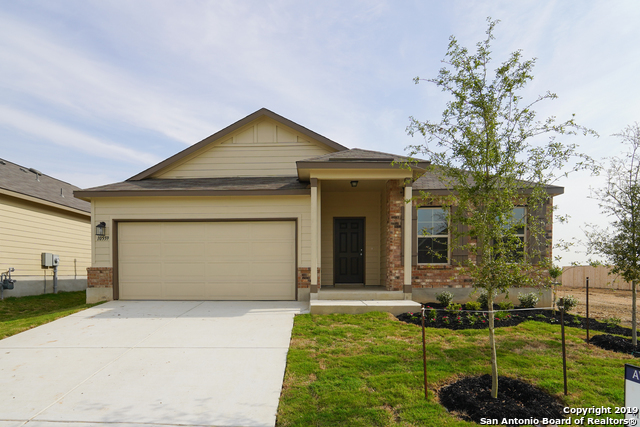 "Stop by & see why the Balboa is one of our most popular floor plans! 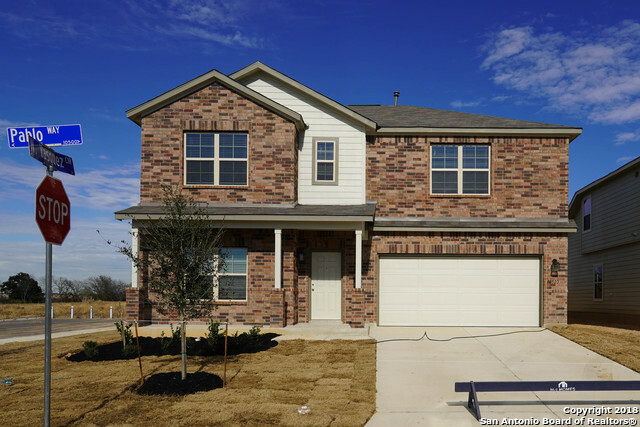 This home boasts 4 bedrooms, 3 bathrooms, & a 2 car garage. The kitchen is open to the dining & family rooms. There is even a game room. Conveniently located to RAFB, SAMMC & Lackland AFB." "This hm is move-in ready! The Balboa boasts a double master, 2 secondary bdrms, children's retreat/gm rm & a kitchen that is an entertainers dream! Blinds, SS microwave & SS refrig are included! Conveniently located to RAFB, SAMMC & Lackland AFB." 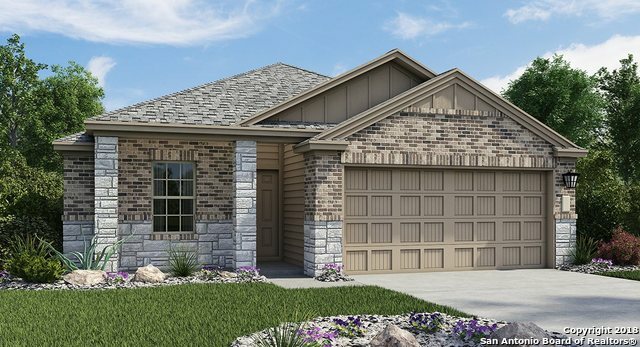 "The Greene M/I Home floorplan is a beautiful 2-story home that features 4 bedrooms, 2.5 bathrooms, a study, a bonus room and a 2-car garage. You will love to entertain in your new home, the open concept this plan has allows you to flow from the kitchen right into the dining room and a large family room. It is perfect for entertaining all your guests. Your stunning master suite is also located on the ground floor; you will love your master bathroom and the large closet. Conveniently located to RA"
"The Stark floorplan is a 2-story, 4 bedroom, 2.5 bath home with a 2-car garage and an upstairs bonus/game room. You will love to have people over to entertain, the open floorplan the Stark offers is perfect for that. The open dining room is adjacent to the kitchen that flows smoothly into the family room. Conveniently located to RAFB, SAMMC & Lackland AFB." "A must see!! The Balboa boasts double master suites, 2 secondary bdrms, a game room & 2 car garage. The XL kitchen is open to the family & perfect for entertaining! Conveniently located to RAFB, SAMMC & Lackland AFB." 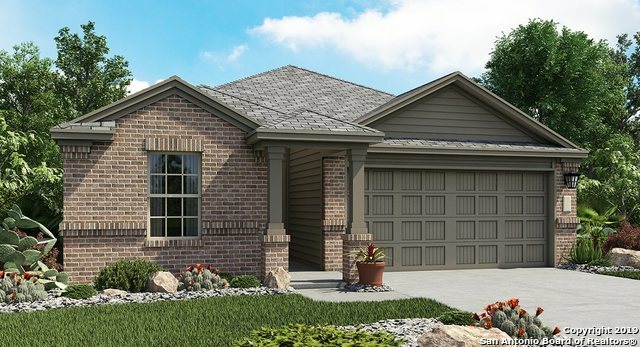 "The Boone is a 1-story home that boasts 1,975 square feet, and features 3 bedrooms, 2 bathrooms, and a 2-car garage. The kitchen has an oversized island, and opens to a huge family room and dining room. In the master bedroom, a bay window can be added for even more square footage, and in the master bath the shower can be upgraded to include a separate bath and shower. The garage can also be upgraded to include extra storage, or even add room for a third car." 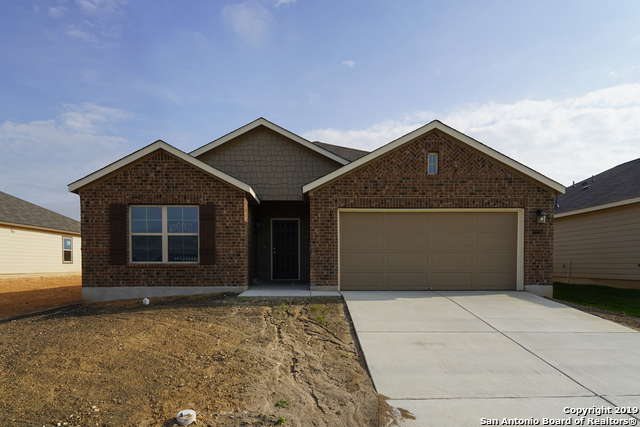 "This poplar one story home features an open floor plan with 3 bedrooms and 2 baths plus a flex room. The kitchen bar features beautiful granite that overlooks the family room. Large master bedroom with generous walk in closet. Master bath features a extended master shower with tile. GE Energy Star Black Appliance Package, 6' privacy fence in back with front and back sodded lawn, 16 seer HVAC system, and tankless water heater, 2 faux wood blinds complete this home. Amazon Alexa Home Automation." 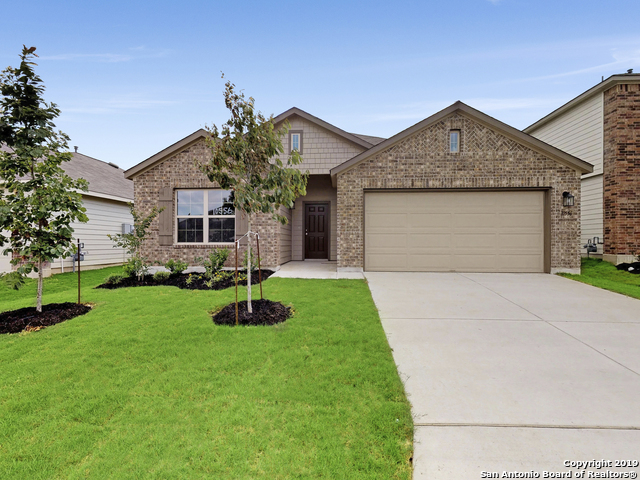 "This poplar one story home features an open floor plan with 4 bedrooms and 2 baths. The kitchen bar features beautiful granite that overlooks the family room. Large master bedroom with generous walk in closet. Master bath features a extended master shower with tile. GE Energy Star Black Appliance Package, 6' privacy fence in back with front and back sodded lawn, 16 seer HVAC system, and tankless water heater, 2 faux wood blinds complete this home. Amazon Alexa Home Automation." "From the Barrington Collection the Abby this poplar one story home features and open floor plan. The kitchen bar overlooks the family room. Three bedrooms and two baths plus a flex room to be used as an office or play room. GE Energy Star Appliance Package, 6' privacy fence in back with front and back sodded lawn, 16 seer HVAC system, and tankless water heater complete this home. READY IN MAY!" "The Hudson is a 2-story home that boasts 2,296 square feet, and features 3-4 bedrooms, 2 bathrooms, and a 2-car garage. The dining room has the ability to be extended, and there is also an option for a covered patio. Upstairs, in the master bath, the shower can be upgraded to include a separate bath and shower. The game room can also be reduced in size, so a fourth bedroom would be able to fit upstairs." "This hm is calling your name! 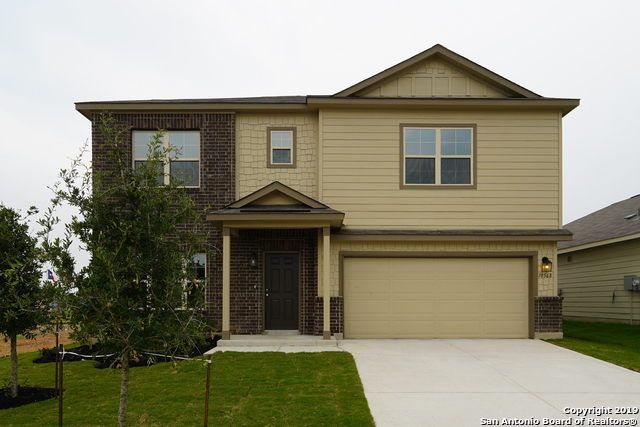 The Cabot is a 2 story hm that boasts 3 bed, 2.5 baths, & an XXL loft. This hm is spacious & perfect for entertaining. All of this on an oversized corner home site! Conveniently located to RAFB, SAMMC & Lackland AFB." 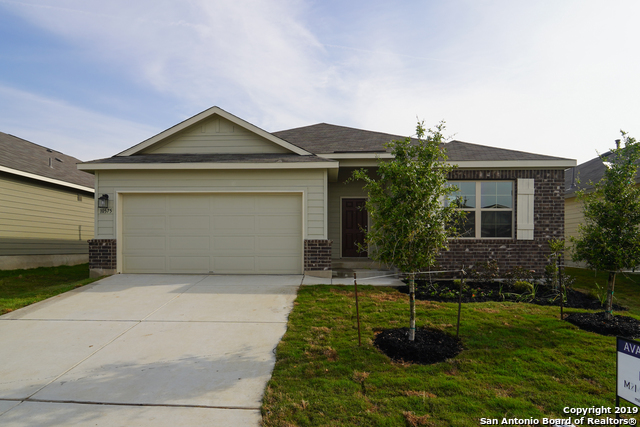 "This poplar one story home the Abby features an open floor plan with 3 bedrooms and 2 baths. The kitchen bar features beautiful granite that overlooks the family room. Large master bedroom with generous walk in closet. Master bath features a extended master shower with tile. GE Energy Star Black Appliance Package, 6' privacy fence in back with front and back sodded lawn, 16 seer HVAC system, and tankless water heater, 2 faux wood blinds complete this home. Amazon Alexa Home Automation." "Prepare to enter your dream home!! 3 bedrooms, check! 2 bathrooms, check! Luxurious master bdrm & bath, check! XXL covered patio, check! Now stop by to view your new home! Conveniently located to RAFB, SAMMC & Lackland AFB." 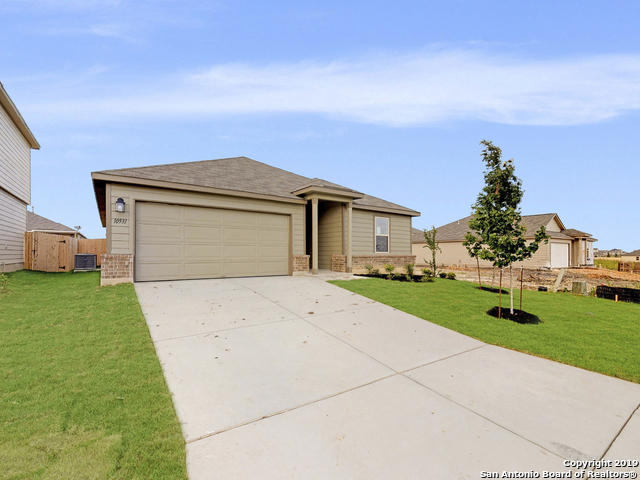 "This poplar one story home the Roffee features an open floor plan with 3 bedrooms and 2 baths. The kitchen bar features beautiful granite that overlooks the family room. Large master bedroom with generous walk in closet. Master bath features a extended master shower with tile. GE Energy Star Black Appliance Package, 6' privacy fence in back with front and back sodded lawn, 16 seer HVAC system, and tankless water heater, 2 faux wood blinds complete this home. Amazon Alexa Home Automation." 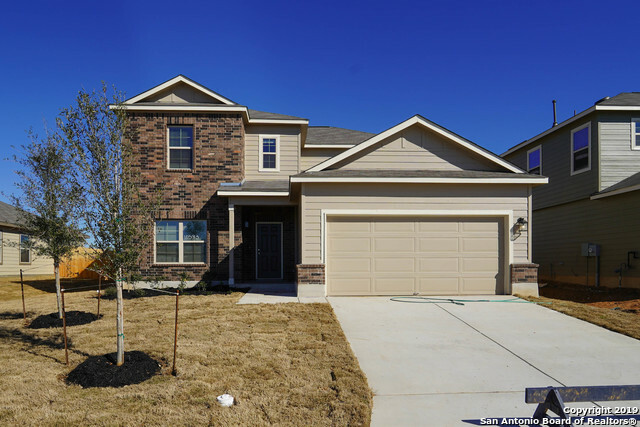 "The Cabot is a 2-story home that boasts 2,063 square feet, and features 3 bedrooms, 2 bathrooms, and a 2-car garage. The kitchen has an oversized island, and opens to a huge family room and dining room, with the option of extending the dining room. All the bedrooms are located upstairs, and in the master bath the shower can be upgraded to include a separate bath and shower." "Simply put, this home is gorgeous! 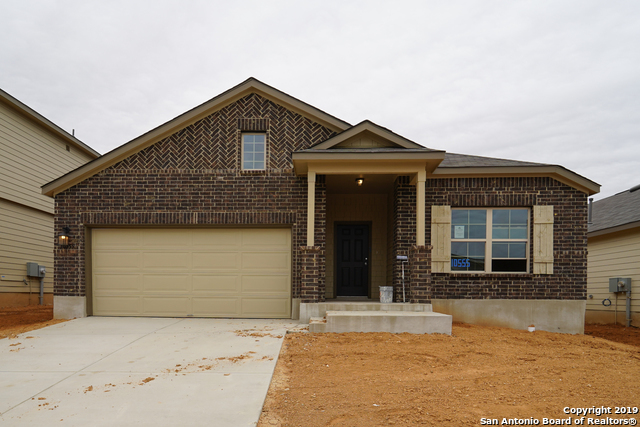 The Desoto floor plan showcases 3 bdrms, 2 baths, & a flex rm/study & 2 car garage. Enjoy sipping your beverage of choice on the XL covered patio! Conveniently located to RAFB, SAMMC & Lackland AFB." "The Polo is a 1-story home that boasts 1,53 square feet, and features 3 bedrooms, 2 bathrooms, and a 2-car garage. Conveniently located to RAFB, SAMMC & Lackland AFB."